Just found out! Great review of my video course PowerPoint 2007: Make the Upgrade Easy! in Toastmaster magazine http://budurl.com/4u62 Did you find this post useful? Get my free video training, “13 techniques that will make designing your slides EASY.” Need training? 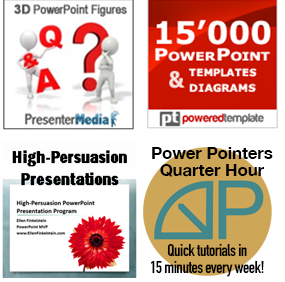 Click here to find out about training to bring your presentations to the next level!